Most rich people and the well connected who face corruption charges and other crimes related cases are never tried and convicted. They always end up being acquitted. Nothing underlines Courts Failing Kenyans better than Maraga’s promise to clear the backlog of cases when he was getting sworn in and then doing absolutely nothing about it upon taking office. Millions of Kenyans who had hopes in the judiciary have given up. Many Kenyans thought the Judiciary would spearhead the agitation to liberate Kenya from the tight clench of the cartels fleecing the country. After bad decisions by bad courts, now any Kenyan anticipating parliamentary summonses can rush to court, obtain restraining orders and then proceed to serve MPs through the Clerk or the Speaker so as to avoid questioning. The reason why our leaders have failed to end corruption is because our courts have been compromised! 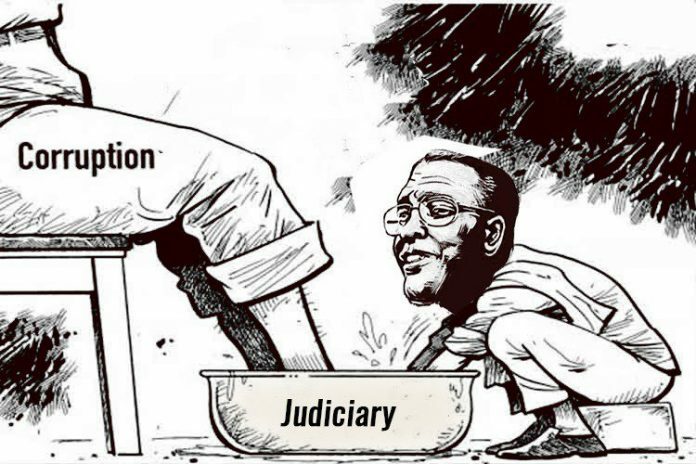 The judiciary as it is right now is rotten! Who will stand and defend Kenyans? The Goldenberg scandal still remains the most elusive graft case with more than 20 years incourts no one has ever been charged on the scam that so billions of taxpayers’ funds lost.